Situated in Davis, this hotel is within a 10-minute walk of U.C. Davis Conference Center and University of California Davis. U.C. Davis Graduate School of Management - Gallagher Hall and Mondavi Center for the Performing Arts are also within 5 minutes. Davis Station is 19 minutes by foot. Situated in Davis, this motel is within 1 mi (2 km) of Davis Farmers Market, University of California Davis, and U.C. Davis Conference Center. UC Davis Arboretum and U.C. Davis Arboretum are also within 2 mi (3 km). Davis Station is 7 minutes by foot. 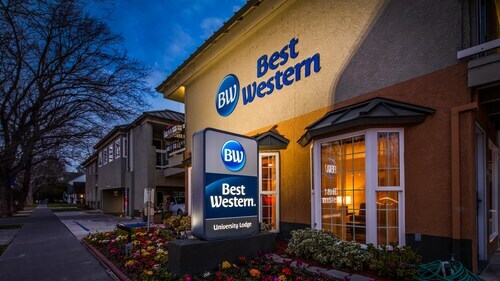 Situated in Davis, this hotel is 0.7 mi (1.1 km) from Rocknasium and 1.3 mi (2.2 km) from University of California Davis. John Natsoulas Gallery and The Artery are also within 1 mi (2 km). Davis Station is 18 minutes by foot. Situated in Davis, this hotel is within a 15-minute walk of United States Bicycling Hall of Fame and University of California Davis. Pence Gallery and John Natsoulas Gallery are also within 5 minutes. Davis Station is 8 minutes by foot. Located in the heart of Davis, this hotel is within 1 mi (2 km) of John Natsoulas Gallery and University of California Davis. The Artery and Pence Gallery are also within 5 minutes. Davis Station is only a 4-minute walk. 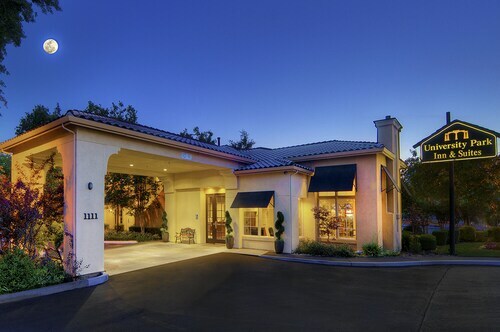 Situated in Davis, this hotel is 0.6 mi (1 km) from Rocknasium and 1.3 mi (2 km) from University of California Davis. John Natsoulas Gallery and Pence Gallery are also within 1 mi (2 km). Davis Station is 17 minutes by foot. 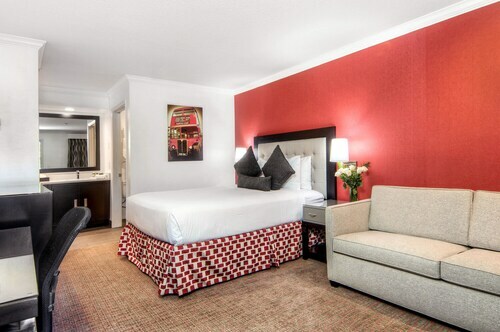 Located in the heart of Davis, this hotel is within 1 mi (2 km) of Pence Gallery and University of California Davis. John Natsoulas Gallery and United States Bicycling Hall of Fame are also within 5 minutes. Davis Station is 6 minutes by foot. 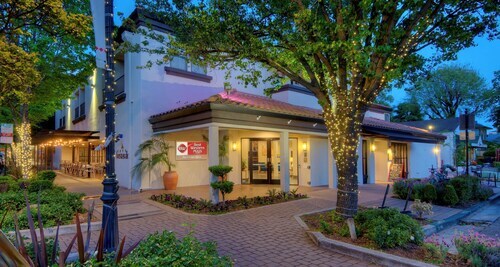 Situated in Davis, this hotel is within a 10-minute walk of John Natsoulas Gallery and University of California Davis. United States Bicycling Hall of Fame and Pence Gallery are also within 10 minutes. Davis Station is 10 minutes by foot.